beyerdynamic chose prolight+sound 2008 (Hall 4.1 E51) for the debut of its CK 930 extremely compact true condenser microphone capsule which is combined with a remote pre-amplifier. The CK 930's excellent signal-to-noise-ratio and flat frequency response with a slight HF-boost ensure a natural reproduction of nearly every instrument or voice. Outstanding off-axis rejection of the cardioid capsule reduces the risk of feedback when used in sound reinforcement applications. The CK 930 also features high sensitivity and a 15 dB pad and make highly suitable in TV news rooms or small spaced orchestra pits. There are two versions of the CK 930 available. The CK 930 3/8”-set for stand or hanging ceiling mounting comprises the CK 930 true condenser microphone capsule, the CV 900 remote pre-amplifier, a connection cable (3 m), and a microphone clamp. 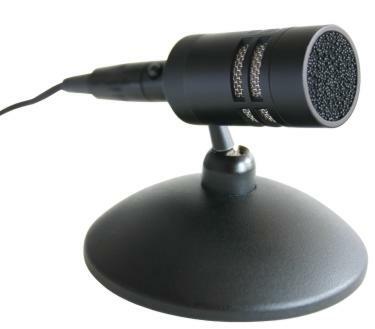 The CK 930 T-set to use as a roundtable or boundary microphone is supplied with the microphone capsule, the remote pre-amplifier, a connecting cable (3 m), and the specially developed miniature microphone stand ST 930.